Stylish crystal awards trophy cup crafted in flawless optical crystal, featuring a multifaceted bowl set on curved stem and square base. 6.25in tall, supplied gift boxed, offered with low, fixed-cost text engraving and free logo engraving. This distinctive 6.25in tall awards trophy is crafted in flawless optical crystal and features a multifaceted glass bowl set on an elegant curved stem and mounted on a heavyweight square shaped glass base with engraving plate. 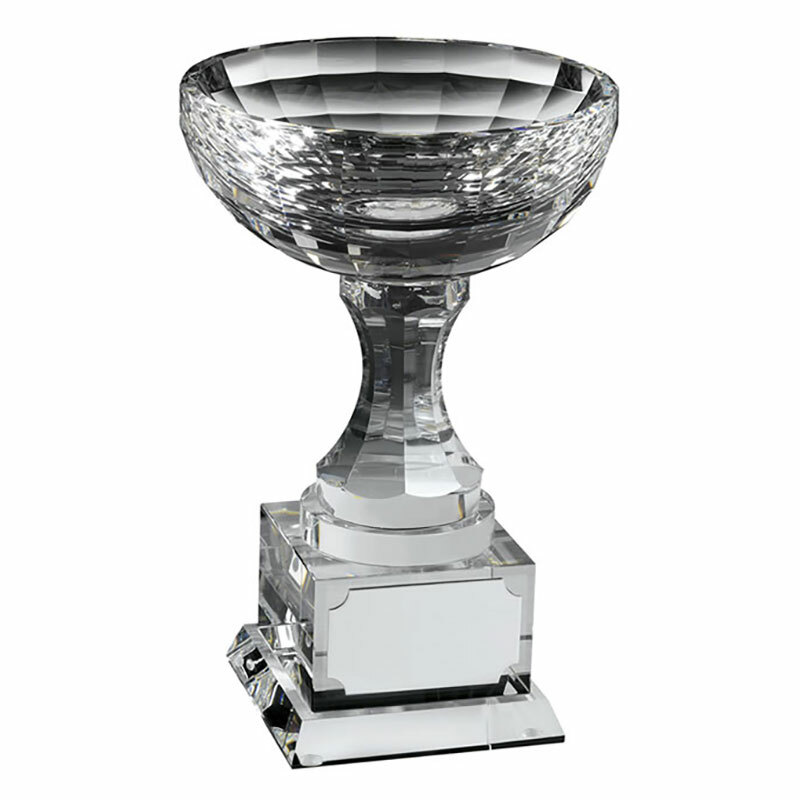 Optical crystal refracts light as it passes through and the planes created by the bevelled edges ensure that this trophy cup gives an ever-changing light aspect as it is held and turned. It can be engraved on the metal engraving plate and/or directly onto the crystal (by default it will be engraved on the plate, but contact us if you want engraving directly on the crystal base). These awards are supplied presentation boxed.